Undertale is celebrating its third birthday by releasing on Switch next month. Although no exact date has been nailed down, that hasn't stopped preliminary sales of its very nice collector's edition. Fangamer just opened pre-orders for the collector's edition of Undertale on Switch. 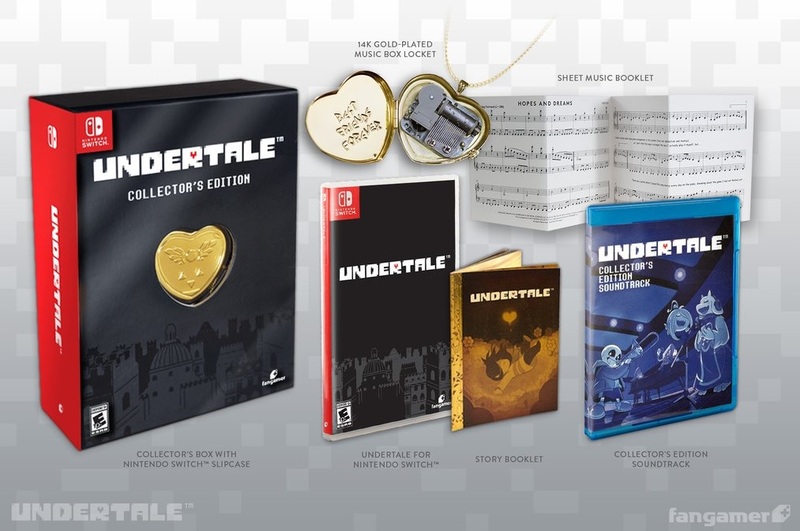 This $69 bundle comes with a physical edition of Undertale, a story booklet, a two-disc soundtrack, sheet music for six of the game's songs, and a gold-plated brass music box locket. This is the same collector's edition that was released for the PS4 version. There's also a physical non-collector's edition that retails for $29. This comes with the Switch cartridge and the story booklet. 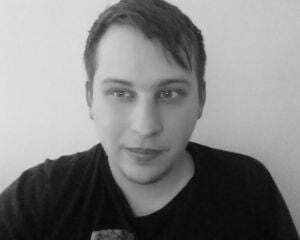 But anyone who wants to show all their LOVE for Undertale knows which edition they gotta buy.